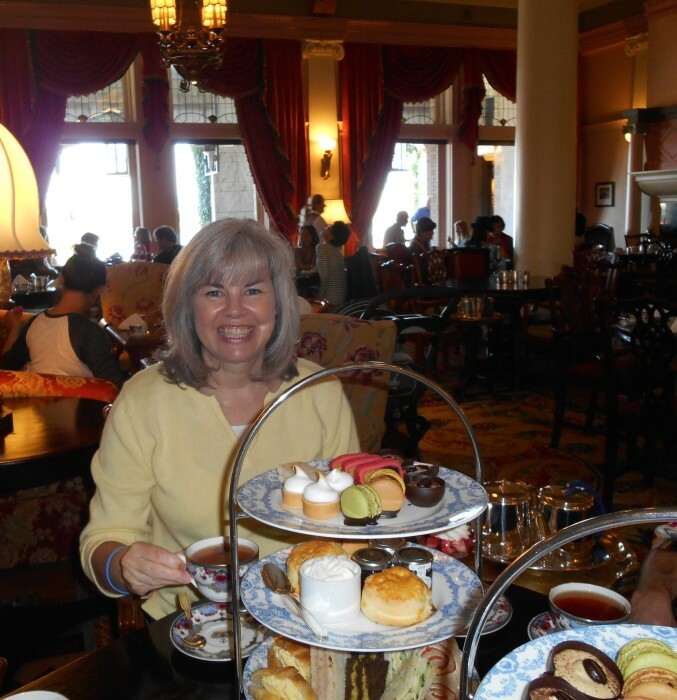 July 18, 2013 – There is a lovely tea room in Victoria, British Columbia at the Empress Hotel. I twisted some arms and got my gang to go on a combination tour of the Butchart Gardens and Afternoon Tea at the Empress Hotel. I highly recommend both but do it on your own if you can so you can take all the time you want. We only had two hours at the Garden and one hour for tea and it just wasn’t long enough! Although, it was the best we could do since we were only in Victoria for a day. It gave us a good taste of the city and I’d love to go back someday. Victoria seems very beautiful and progressive. 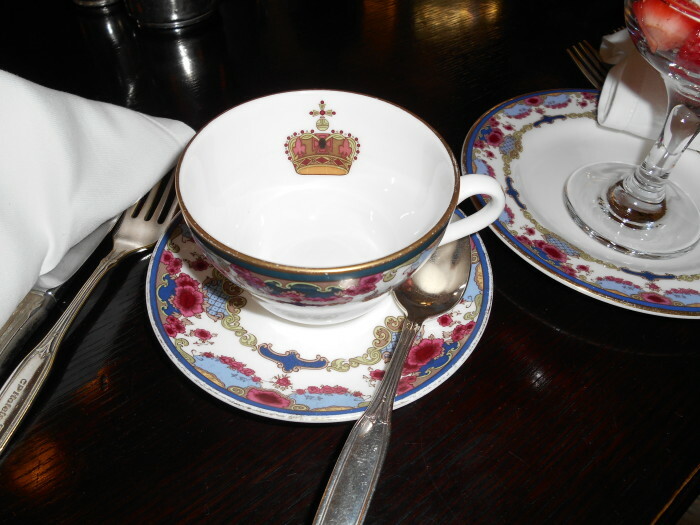 Tea at the Empress was a lovely event. The food was as good as you would expect but not better. We started with sliced strawberries and then the waiter brought out the three tiered trays. On the bottom plate there were salmon pinwheels, curried chicken salad on dark rye, free range egg salad croissant, cognac pork pate’ on sundried tomato bread (tasted like ham salad to me) and the requisite cucumber sandwiches. My favorite was the cucumber sandwiches. I’m not a fan of smoked salmon or curry but I ate them anyway just to give it a try. The middle plate had scones. I find that scones are a good jam delivery system. The top level contains dessert and so you work your way up from bottom to top and have the best for last. I thought the lemon curd tart (just a tiny, little lemon meringue pie) was the best and the rose petal shortbread cookie went nicely with the tea. The checkerboard cake and the chocolate coffee cup filled with chocolate mousse were pretty but not very tasty. The tea itself was the Empress Blend which is their own blend of Assam, black and green teas. It was a strong tea, not as strong a breakfast tea, but strong enough that I didn’t mind adding milk and sugar. I don’t normally add anything to my tea but somehow I felt it was appropriate there. I was disappointed that they used tea bags (I peeked in the silver teapots) but later read the menu and learned you have the option to order from a variety of teas including bagged and loose leaf. Next time!